Real-world experience with Medtronic's Solitaire stent retriever in patients suffering acute ischemic stroke shows the device can perform just as well in the real world as it did in four separate clinical trials. Registry data presented at the International Stroke Conference showed Medtronic's Solitaire stent retriever performed as well in real-world clinical settings as it did in four separate randomized controlled trials. No matter how well a device performs in clinical trials, the true test of its effectiveness is how well it performs in the real world, outside of the strict confines of a well-designed study. 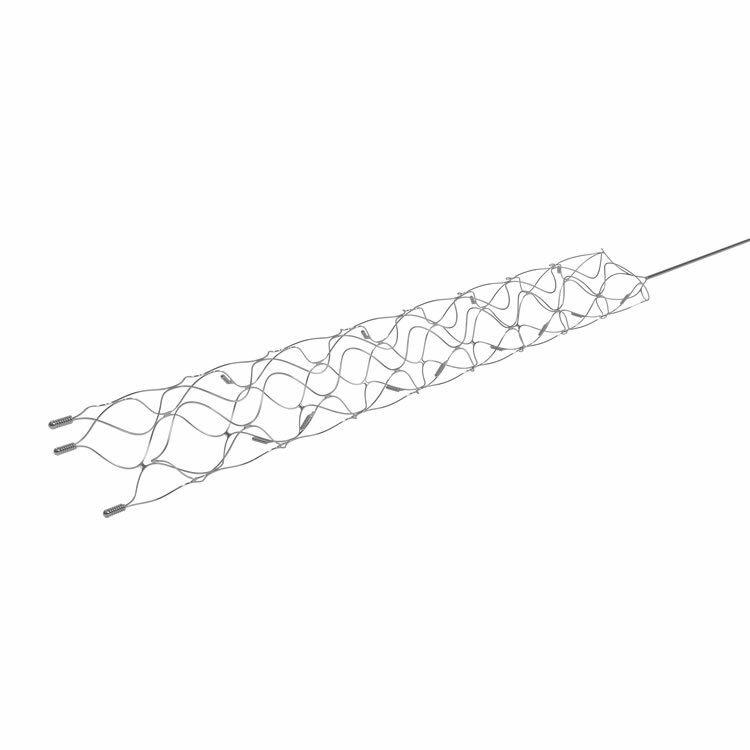 Medtronic's Solitaire stent retriever recently stood up to that test by demonstrating that the results from four pivotal randomized controlled trials can be replicated in a pragmatic, real-world setting for patients suffering acute ischemic stroke (AIS). Study investigators presented the results from the Systematic Evaluation of Patients Treated with Neurothrombectomy Devices for Acute Ischemic Stroke (STRATIS) registry last week at the International Stroke Conference in Houston. The STRATIS registry confirmed earlier results from the Dublin-based company's SWIFT PRIME, ESCAPE, EXTEND IA, and REVASCAT trials. "In medicine, you see a lot of times that when trials are run they're incredibly stringent, and patients get incredibly good follow up, and then you find out that that trial, the way it was run, is not always applicable in the real world," Curtis Given, co-director of neurointerventional services at Lexington, KY-based Baptist Health, told Qmed. "So this was really important because STRATIS was close to 1,000 patients in 55 centers and it showed that you couold have the same outcomes, the same effect on patients' lives, with this device in the real world and not under the confines of a clinical trial." Medtronic said the STRATIS registry examined the impact of treatment delays on patient outcomes when treated with the Solitaire stent retriever and intravenous tissue plasminogen activator (IV-tPA), if eligible. In the study, 984 patients were enrolled at 55 U.S. centers, with 64% treated with the Solitaire stent retriever and IV-tPA and 36% treated with the Solitaire stent retriever alone. The study showed that inter-hospital transfer was associated with significant treatment delays and significantly lower chance of functional independence at 90 days (60% compared to 52.2%, p=0.02). Also, patients treated with a balloon guide catheter had higher rates of functional independence at 90 days (61.8% compared to 50.2 percent, p=0.002) with fewer passes (1.7 compared to 2.0, p=0.0008) than patients treated with a distal access catheter. There are currently several different devices on the market designed to treat stroke, but Given said the Solitaire stent retriever stands out from the rest of the pack as the most studied device of its kind and the one that is supported by the most randomized data. "One of the problems with devices in general in stroke therapy is there are lots of things that can remove blood clots from the head," Given said. "And often we judge and say 'okay, we removed the blood clot, that's great, this device works great.' But then when you look at the thing that's important, which is 'did removing the blood clot, did restoring the blood flow, and how you removed the blood clot, did that actually result in a positive benefit to the patient? Solitaire is by far the device that has been studied the most in that aspect." Solitaire has achieved good clinical outcomes beyond the ability to restore blood flow, Given said. It came as no surprise to Given that the STRATIS registry data also highlighted the importance of first responders being able to recognize patients with large vessel occlusion and massive strokes and transporting them not to the nearest hospital, but to the nearest hospital capable of removing their clot and restoring blood flow.